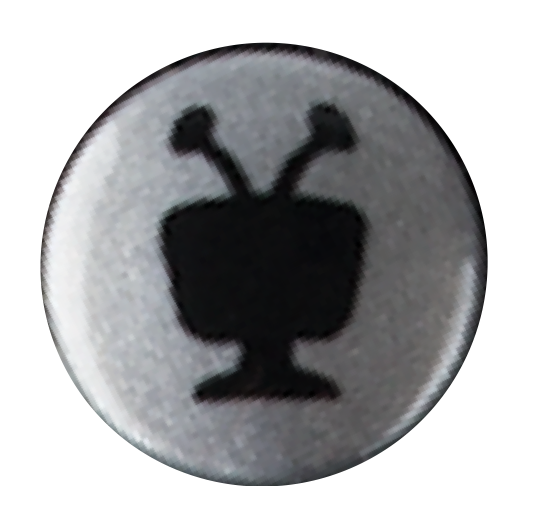 Picture a world where you’re navigating through all of your TiVo VOX RemoteTM buttons with effortless glory. Flipping Closed Captioning on and off like it’s your job. Speeding up and slowing down play with abandon. Programming your TiVo® to record shows you didn’t even know existed. Turning on “screen reader.” Knowing what “screen reader” even means. That world, fellow TiVo-ers, is one blog post away. Read on. Press the TiVo button once to go to the Home Screen, or press it twice to go directly to My Shows. Press the Arrow buttons to move around the TiVo menu. Press OK to select an option or menu item. When watching live TV, use these buttons to access the Guide without leaving your show. Press Down to see the SmartBarTM. Press Left to see your favorite channels. Press Right to see what’s playing on other tuners. Press Back to go back one screen. When viewing shows in the menu, use the Fast Forward (▷▷) and Rewind (◁◁) buttons to advance through a strip quickly. And use Replay (⟲) to jump to the first item. When viewing lists, Advance (→|) jumps to the end of a list, and then back to the beginning. When watching a recorded show, press Rewind (◁◁) or Fast Forward (▷▷) up to three times, for three speeds. The Replay button (⟲) skips back 8 seconds. Advance (→|) jumps ahead 30 seconds. The slow button (|▷) allows you to watch your content in slow motion. When you’re fast-forwarding or rewinding, a horizontal line appears at the bottom of your screen to show you where you are in the program’s timeline. Advance (→|) takes you to the next hash mark on that line. When watching a live show, these features will still work because TiVo records up to a half hour of live TV on each channel. Of course, you can’t fast forward or skip into the future – but if you pause or rewind, you can catch back up. The Pause button pauses live TV and recorded programs. You can pause live TV for up to ½ an hour before it starts to play again. If you want to pause longer than ½ hour, no problem – just record the show. Use Channel Up and Down to move through lists a page at a time. If you want to go line by line, use the arrow up and arrow down buttons (▽△). When watching live TV, use the Channel buttons to navigate through television channels. The A,B,C, and D buttons set options and sort and filter views. Onscreen tips will tell you when you can use them. Press and hold the A button for two seconds or longer to turn the screen reader on or off. You’ll hear the Screen Reader say “Screen Reader on” or “Screen Reader off.” This feature reads the DVR screen text that appears on screen, out loud. 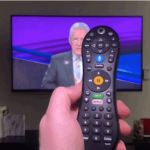 Press and hold the B button for two seconds or longer to turn Closed Captioning on or off. Press and hold the C button for two seconds or longer to turn the video description track on or off. The D button has no independent function today, but is there for on-screen tips when you have more than 3 options. The TiVo VOX RemoteTM Voice button lets you control your TiVo with your voice. Hold down the button while giving a command. These buttons can be controlled to work with your TV. To find options to pair your remote control, go to Menu > Settings > Remote,CableCARD & Devices. To watch live TV, just press this button. If you don’t want to skip an entire commercial segment, you also have the option to skip ahead 30 seconds by pressing ￼ (→|). If you don’t have a SKIP button, try pressing D on your remote. To go directly to your Netflix® interface within TiVo, click this button. When watching TV or browsing the guide, you can press Thumbs-up or Thumbs-down up to three times to let your TiVo know how you feel about the show. Over time, your TiVo will start to “learn” what you like and will make suggestions for you. 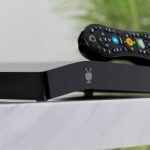 Click the Guide button to see the TiVo Guide – which displays shows playing now, through up to two weeks in the future across all your television stations. Press the “i,” or Info button to open the Information Banner while watching live TV or recordings. Press the Record button to record the show you’re watching, or to record an upcoming show you find in the Guide or through Search. Press Clear to remove the display of the info banner or program guide. When you’re in My Shows or the To Do list, press Clear to delete the selected title. Besides using the Enter button after you have input text in functions like Search, you can also use Enter to return to the last channel you were tuned to in live TV. This one isn’t really on your TiVo remote, but we’ll still count it. Can’t find your remote? Check the back of your TiVo for the Remote Finder button. Pressing it will prompt your TiVo remote to play a little tune to help you find it. Now go forth and show off your newfound skills. And bookmark this quick reference guide in case you need it later!